A parent’s attitude sets the tone in the home. Constantly saying, “I have to” do this or that is a sign of someone looking for sympathy for their victimhood. 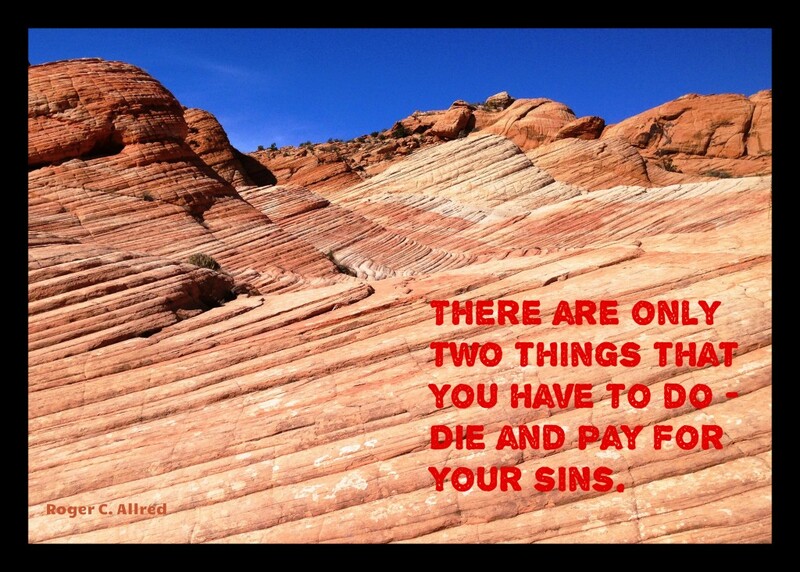 There are only two things you have to do – die and pay for your sins; everything else is optional. No one has everything go their way. But, as Grandma Allred used to say, “Bloom where you are planted.” In other words, “make the best of the situation.” Complaining is corrosive. It only serves to create a negative attitude in ourselves and anyone else who listens, including the kids. We choose to do what we want to do or what we feel is correct. So, why whine about it? Parents must realize that there comes a day when they can’t force their children to behave. Children can do whatever they want unless they are physically restrained, and there aren’t enough teenager prisons to handle them all. This is common knowledge for anyone who has had a teenager, but we like to fool ourselves into believing that we are in control. The only one in control is God. We have to look to him to execute justice and make things “fair.” What we can do is model a positive attitude and show our children the good things that come to good people. This entry was posted in Family Leadership on November 10, 2018 by rogerallred.